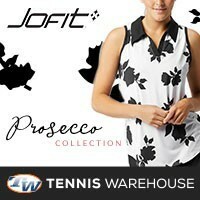 You are here: Home / Tennis Equipment / The Babolat ProPulse 3′s Are Here! Ships FREE! 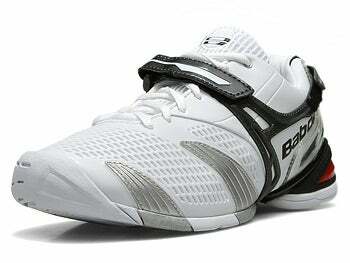 The Babolat ProPulse 3′s Are Here! Ships FREE! 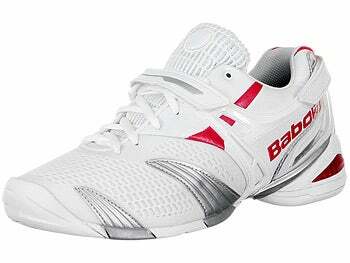 The new Babolat 2011 Propulse 3’s are the tennis shoe choice of second ranked American, Andy Roddick. Roddick is currently wearing the Propulse 3 RED model. 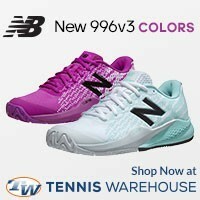 The prices for each shoe is $109 and includes free shipping. 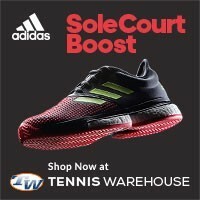 More importantly, each of the Propulse 3’s also come with the 6 month outsole warranty, so that means, if you drag your toe or slide a lot on the tennis court and you manage to burn through your Michelin Propulse 3 outsole, you can send the worn out pair of tennis shoes back to Babolat for a replacement pair of Propulse 3’s (yep, FREE replacement). The Propulse 3 Red feature lateral relaunch and velocity, thanks to the Exact PRO System and outstanding grip and outsole durability with the Michelin (that’s right – tires on your feet!) OCS soles. The Propulse 3 also feature the Kompressor System, which provides long lasting heel cushioning and comfort and the Foot Belt Technology’s standard three-point foot support. 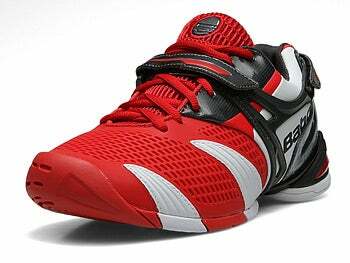 Finally, the Babolat Propulse 3 Men Shoes have serious strength and comfort with the Cell Shield Technologies, right on the cage of the shoe. 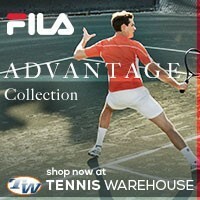 So hurry andy get your Propulse 3 and get the most of your tennis experience! The Propulse 3 White feature extra velocity and the ability to relaunch laterally, thanks to the Exact PRO System and substantial grip and outsole durability with the Michelin (you read right – tires on your shoes!) OCS soles. The Propulse 3 feature the Kompressor System, which provides long lasting heel comfort and the Foot Belt Technology’s three-point foot support. Last but not least, the Babolat Propulse 3 Men Shoes have some serious strength (and comfort) with the Cell Shield Technologies, right on the outside of the shoe. So come hurry up and get some Propulse 3 before Andy cuts his hair again! The Women’s Propulse 3 Red feature that little bit of extra velocity and the ability to get that lateral launch for the serious female tennis player, thanks to the Exact PRO System with serious grip and outsole durability using the Michelin OCS soles. The Propulse 3 feature the Kompressor System, Babolat’s technolgy for reducing heel shock and the Foot Belt tri-point foot support. Finally, the Babolat Propulse 3 Women’s Shoes have some serious durability and comfort from the Cell Shield Technologies, right on the outside cage of the shoes.